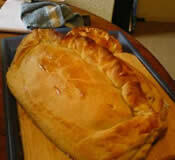 What better way to spend the time for revising a German exam than creating a giant German-style snack? With sauerkraut and schnitzel being given the thumbs down, it had to be an über chocolate pretzel. 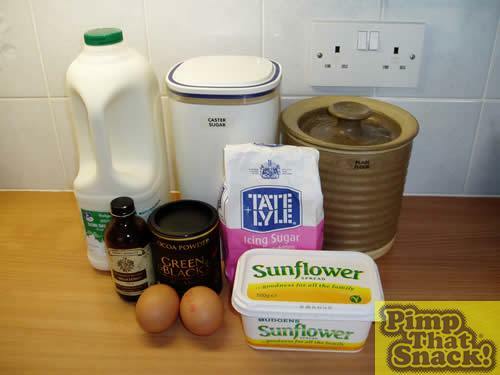 Whack the margarine and sugar into a large bowl and cream with an electric whisk until creamy! Mix in the egg, vanilla and milk, whilst trying to get action shot of mixing. 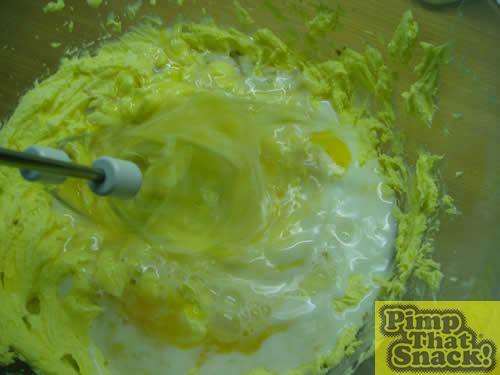 Continue whisking until it looks like horrible scrambled egg gone wrong. 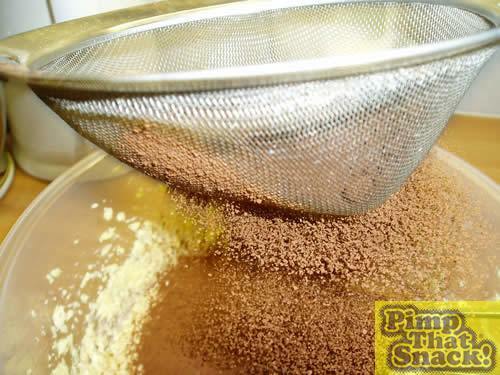 Sift in cocoa and flour, whilst taking another action shot! 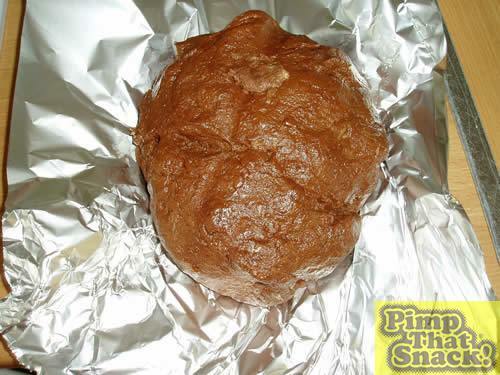 Scrape off dough and tip it out of bowl onto a sheet of foil (trying hard not to think what it looks like). Then put it in fridge 30 minutes and put feet up whilst learning about biotechnology and how to make soy sauce. 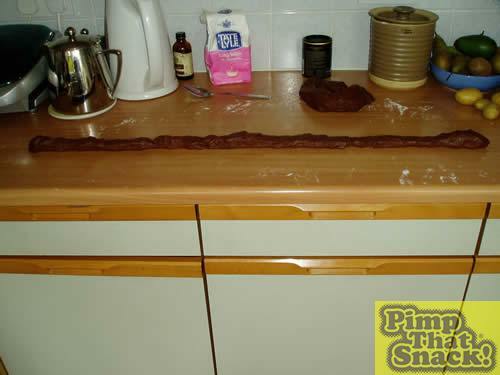 Take dough out of fridge. It should be a little firmer, but it still looks a bit wrong…Using some extra flour, roll dough out on work surface into 2 long sausage(?) shapes of equal lengths.